Remember to take your repair guide when you ride. It will easily fit in your gearbag, toolbox, or glove box. Your Yamaha ATV repair guide is cheap insurance against the dreaded Ride Day Demons, that show up unexpectedly. 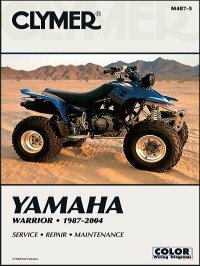 Not the Yamaha ATV service manual you need?